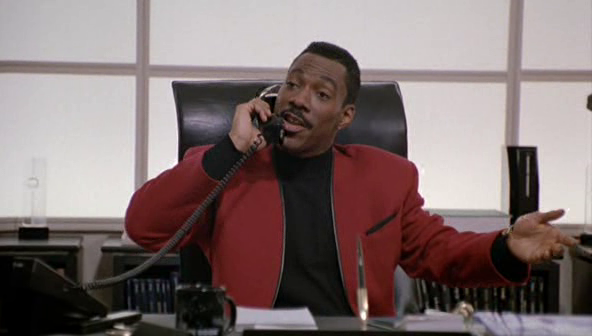 I have always admired Eddie Murphy's original content. From 'Harlem Nights' to 'Coming to America' he has always thought outside of the box when it came to cinema. His romantic comedy 'Boomerang' left no stone unturned. From the script to the wardrobe and directing Murphy again showed that he knew what audiences wanted to see. In the midst of a recent movie night unbeknownst to me I uncovered some business lessons and office romance tips I just had to share. 1. Office Romances Can Get Messy - Set Clear Boundaries! The longer you put off having a real conversation about what exactly your situation is i.e dating, hook - up, monogamous - the harder its going to be. Put your cards on the table and set it free. I always find re-visiting a situation after 3-6 months is enough time to gauge trends, patterns and to determine if continuing makes sense. And when you feel good, you can do anything! 3. The Bottom Line is the Bottom Line - Never forget that you were hired to do a job! If you happen to fall in love during the process, fine. However, that's not why you were hired. Put 1st things 1st, don't let your numbers slip and make sure you are still adding value to the company. Or else have the guts to fire yourself! 4. You need a tribe. These folks might be discovered inside or outside of your company. These are people you can confide in and gain insights and fresh perspective to issues that might be bothering you.